Ecce Quam Bonum. EQB. It's the University motto, and you will hear it often. Behold how good and pleasant it is when kindred live together in unity! This spirit guides our living and learning community and describes our expectations for one another. Check out some of the ways we live out this motto every day. Belonging is connection. It’s mattering. It’s thriving. 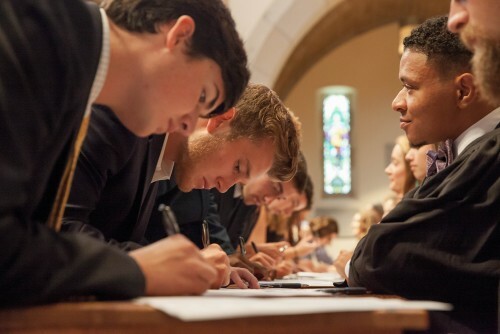 At Sewanee, we’ve created an environment to foster a sense of belonging. We also know that there is no finality to belonging—it’s continual and evolving. That’s why we’ve built a community full of diverse people whose goal is to walk alongside you no matter what. 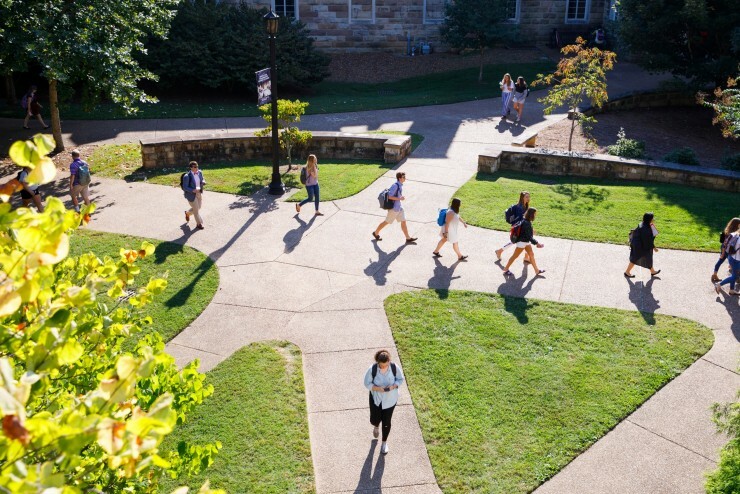 Ninety-eight percent of Sewanee students live on campus. 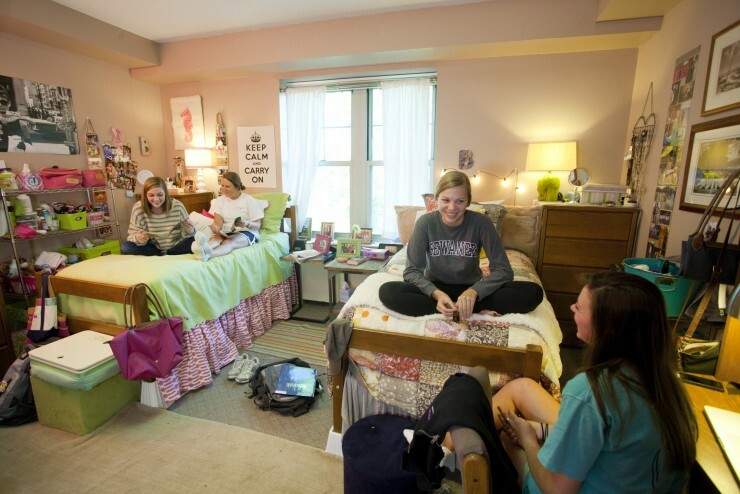 First-year students live in residence halls while sophomores, juniors, and seniors have additional options like language houses and themed living communities. Accommodations range from traditional doubles and singles to an assortment of suite options. Sewanee is on top of a mountain, but that doesn't mean you'll be culinarily isolated. 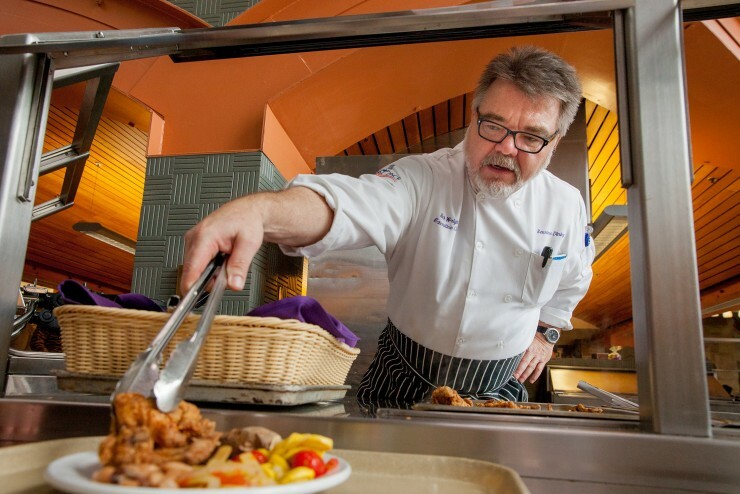 Chef Rick Wright oversees four on-campus dining options that are complemented by several local spots that serve 'craveable' bites, too. After all, we know that you hunger for more than knowledge. Students participate in intercollegiate, club, and intramural sports. The Tigers compete in 24 varsity sports in NCAA Division III. 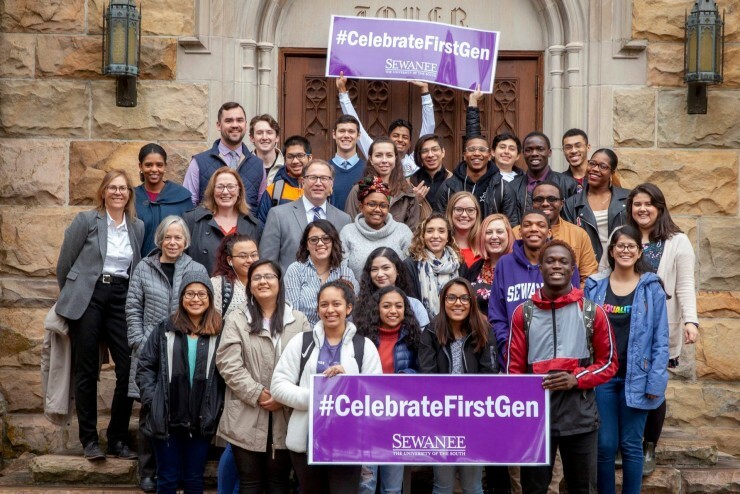 The Sewanee Outing Program (SOP) gives students the chance to explore Sewanee’s Domain, our 13,000-acre campus, the surrounding region, and wilderness areas across the United States. 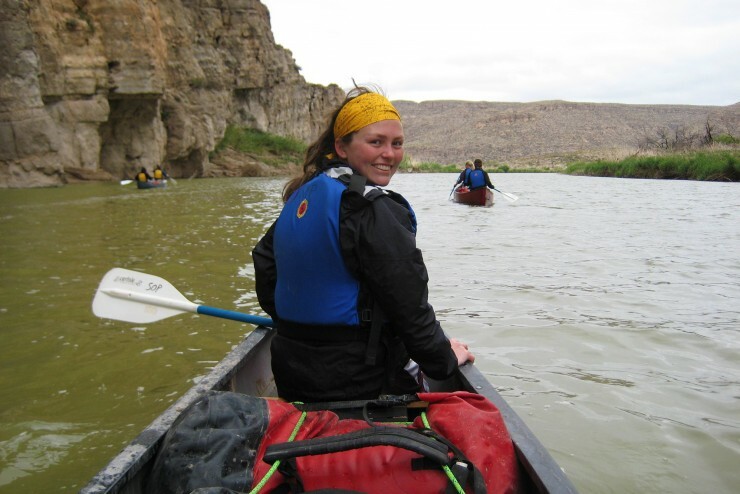 Trips include hiking, biking, canoeing, climbing, swimming, caving ... and that's just on the Domain! 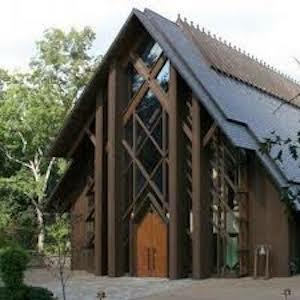 Spirituality, faith, religion, and community are vibrant aspects of life on the Domain. We invite you to bring your own faith, ask questions, and be part of our community. 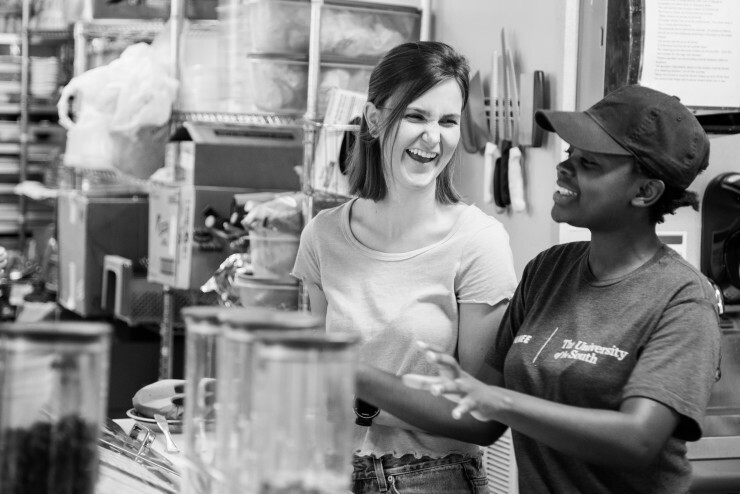 There is a richness in diversity, and we acknowledge that belief by offering a variety of faith-based service opportunities—no matter where you may be on your faith journey. 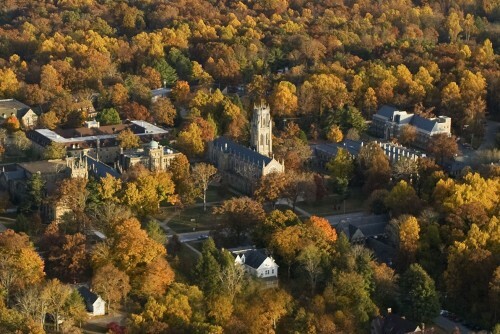 We envision a Sewanee where you'll learn to make meaningful change. To support that idea, we offer a constellation of opportunities including internships, academic certificates, volunteer opportunities, and courses. The Office of Civic Engagement facilitates partnerships between campus and community members to develop relationships, knowledge, and skills that improve our common life across the South Cumberland Plateau. 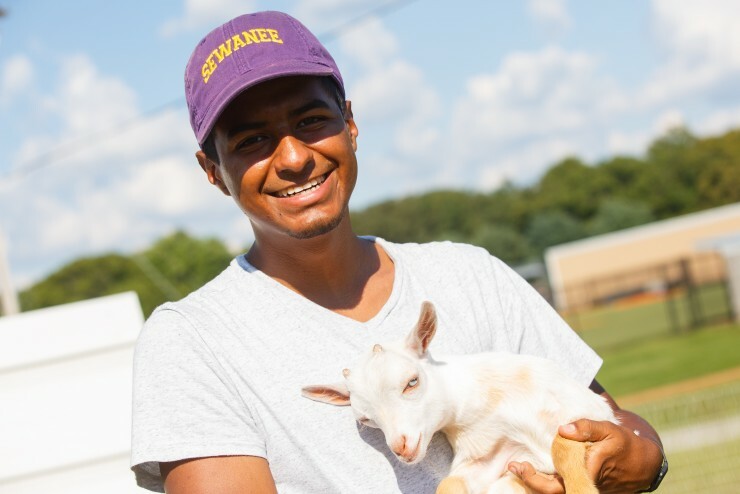 At Sewanee, there are boundless opportunities to get involved. No matter your interests, we are sure to have a club or organization to fit your style. 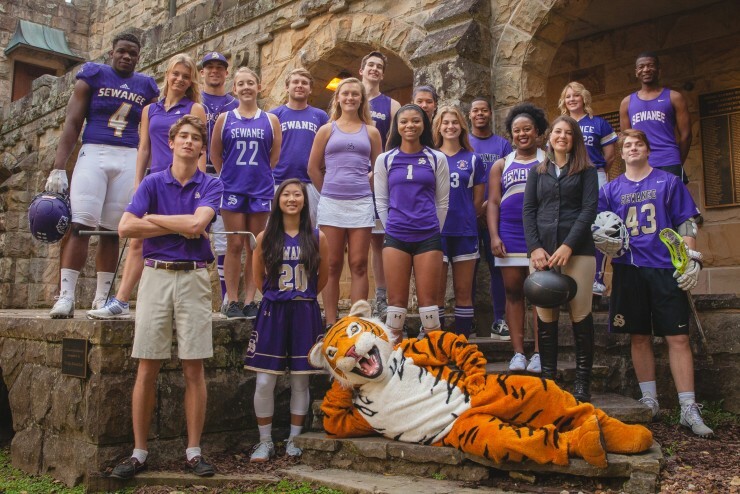 Want to be part of student government, live the Greek Life, volunteer for the fire department, play ultimate frisbee, or write for the Sewanee Purple? Try them all if you want to! Or, start your own. 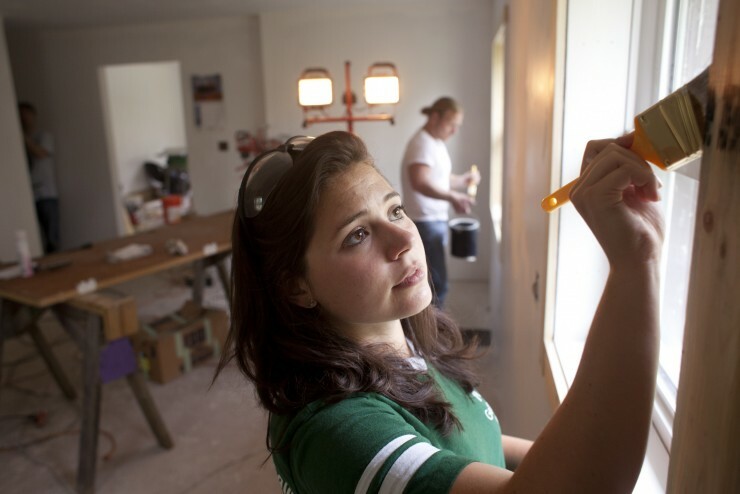 Sewanee Flourish is a project that promotes an infrastructure of mental wellness on campus. Initiated by the Wellness Center, this program offers resources to enhance your well-being, growth within your new community, and a sense of belonging. Come flourish with us! One thing we know for sure is that you've got a voice to contribute. 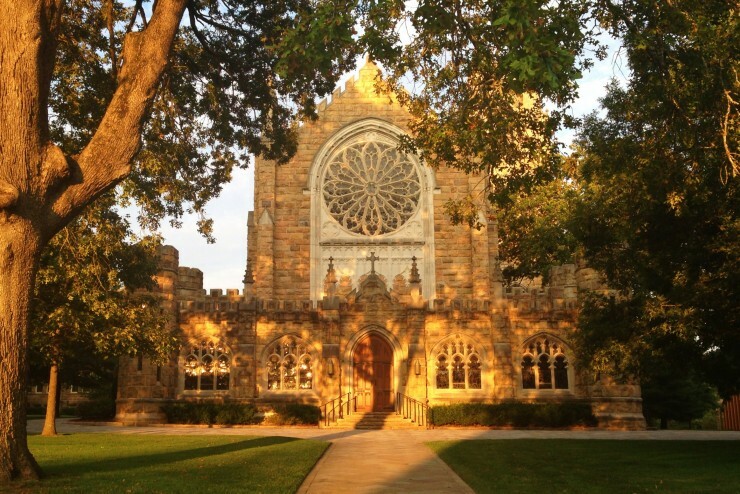 At Sewanee, we want to hear it. 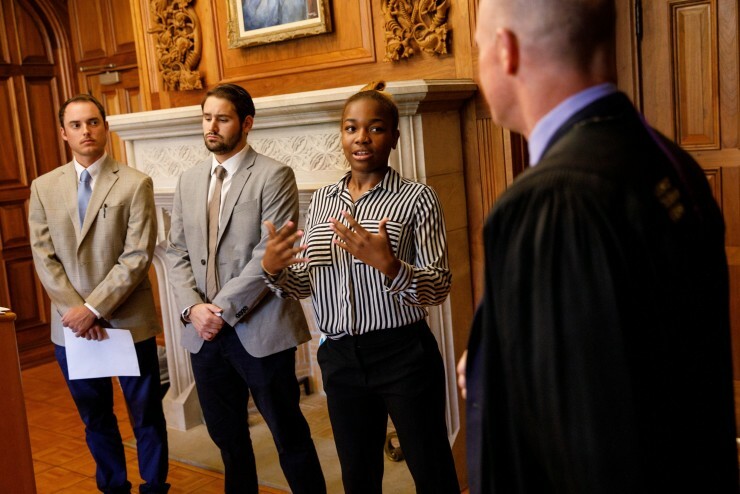 Sewanee is a place where you can express your ideas and a place where your voice will be heard. On our campus you will find your ideas challenged and respected at the same time. Your experience here–in and out of the classroom–will bring your perspective into clearer view. 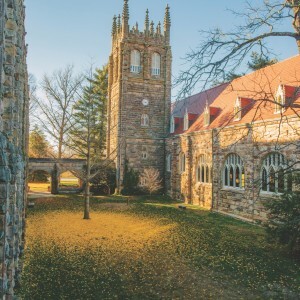 Sewanee's small(ish) community setting means your voice will be heard. With hundreds of leadership opportunities, you'll have a chance to take charge and make a difference. Oh, and if you need it, we'll help you learn how.